Get A FREE Estimate. CALL NOW! Hall Garage Doors is the most sought after garage door service provider in Toronto. 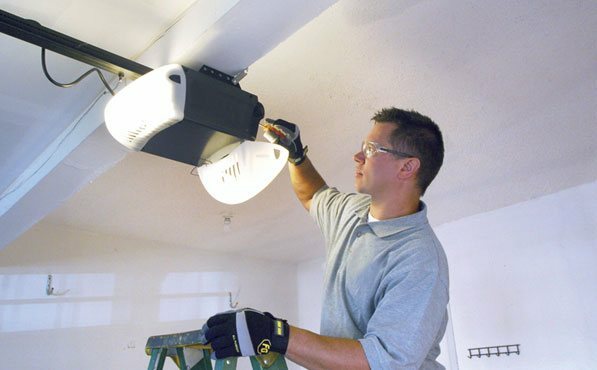 We provide our residential and commercial clients with affordable and durable overhead door services. For the past many years, we have been offering garage door repair Toronto, installation and maintenance services. We are your trusted and local garage door technicians who know how to resolve an issue in a timely and efficient manner. Our licensed professionals will make sure that your garage door performs smoothly and reliably for years to come. For all your garage door issues, you can count on our experts. Whether you want to install a new garage door at your home, need to replace the damaged springs or need insulated overhead doors, we have your needs covered. No matter what type of service you need, we are competent to handle every task you throw at us. Our garage door specialists in Toronto are equipped with all the necessary tools and are well-versed with the latest technology to deliver quality result. Call our experts to discuss your needs or request a free quote. Garage Door not Working? Call Our Professionals Today! Call any time and ask for garage door repair technicians. We repair all overhead doors, up-over doors, sliding doors, replace openers, springs, strips etc. Is your business dependent on overhead door? 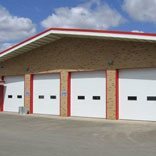 Call us for rolling steel door repairs, overhead doors, industrial doors. We excel in heavy duty spare parts replacements. At Hall Garage Doors, we provide round the clock services. Whether you have a dysfunctional opener or a faulty remote, we are here to rescue. 24/7 Response – Feel free to call us anytime of the day for quick resolution. Fast Appointments – We will be at your doorstep within minutes of your call. Affordable - you can get free estimates and all our services are affordable. Well-equipped - Fully equipped technicians and repair trucks for all repairs. No Hidden Surprises - Our estimates are final and there are no surprise charges. There are plenty of reasons why our repeat customers call us and not our competitors. From 24/7 availability to genuine spare parts, we have earned the reputation of a value-for-money service provider in the entire Toronto region. 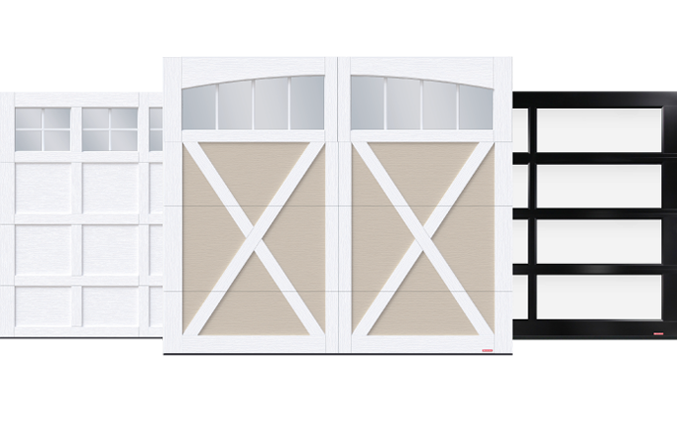 Custom garage doors –You name it, we will get the design you want. Need Your Garage Door Repaired? We Can Fix It Today! 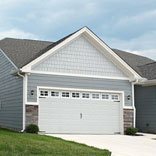 Schedule Your Garage Door Repair TODAY!